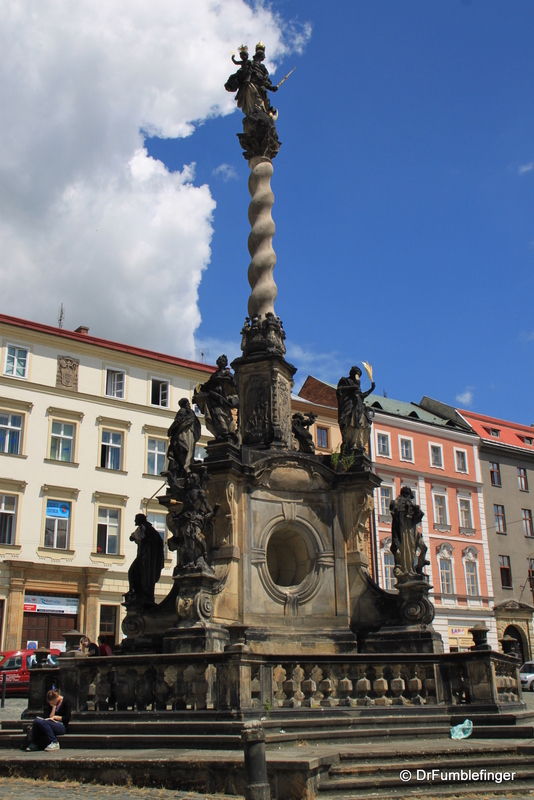 Olomouc — Now that’s a Plague column! 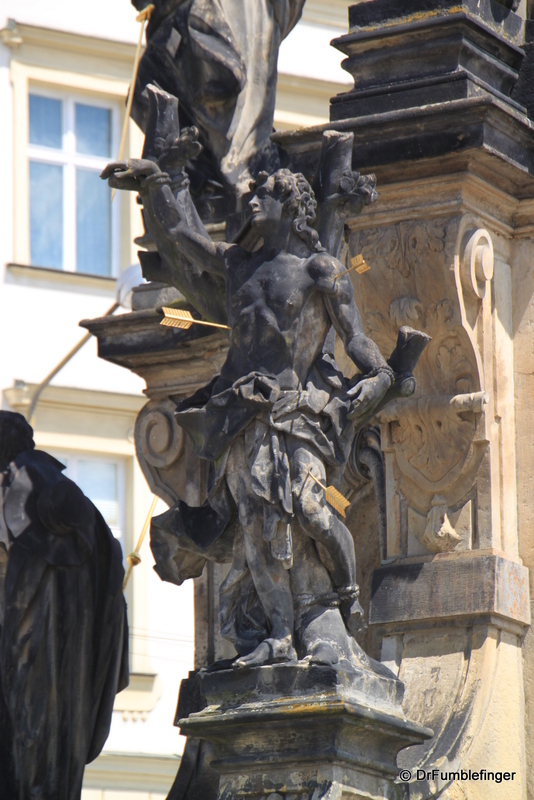 Karl on Jun 24, 2010 with Comments Off on Olomouc — Now that’s a Plague column! 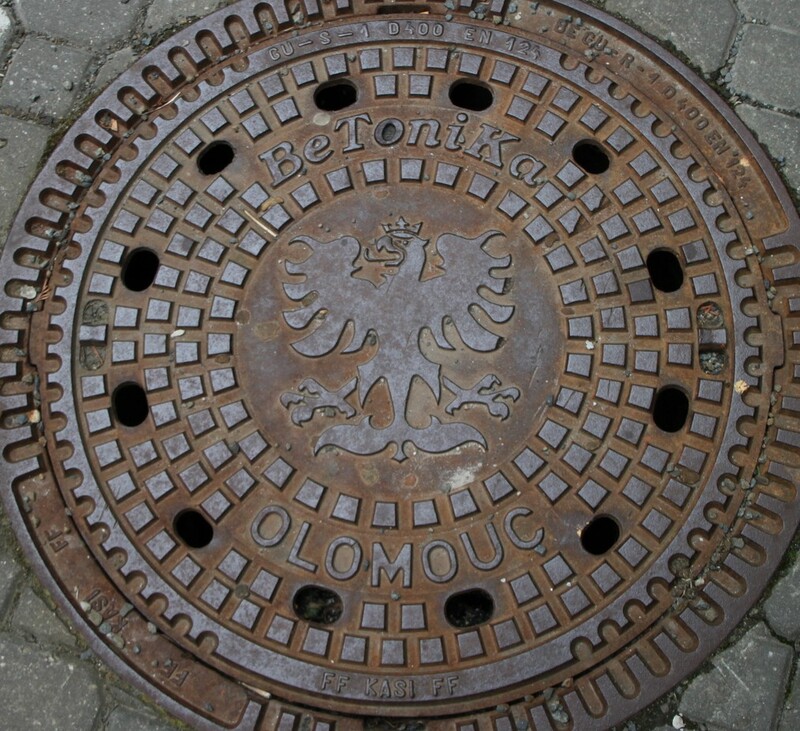 During our visit to the Czech Republic we ventured on a day trip from our base in Prague east to Olomouc (pronounced OH-loh-moats). 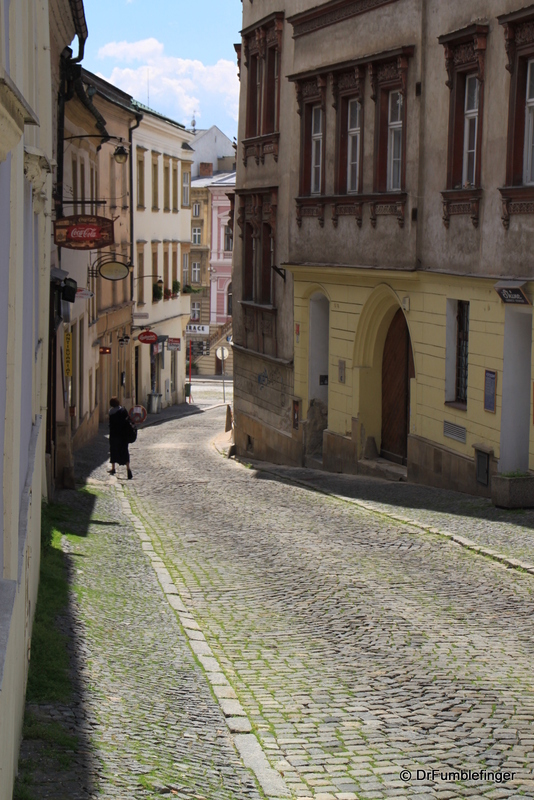 Most of our time in the Czech Republic had been spent in Bohemia (western part) and we wanted at least a taste of Moravia (eastern part). 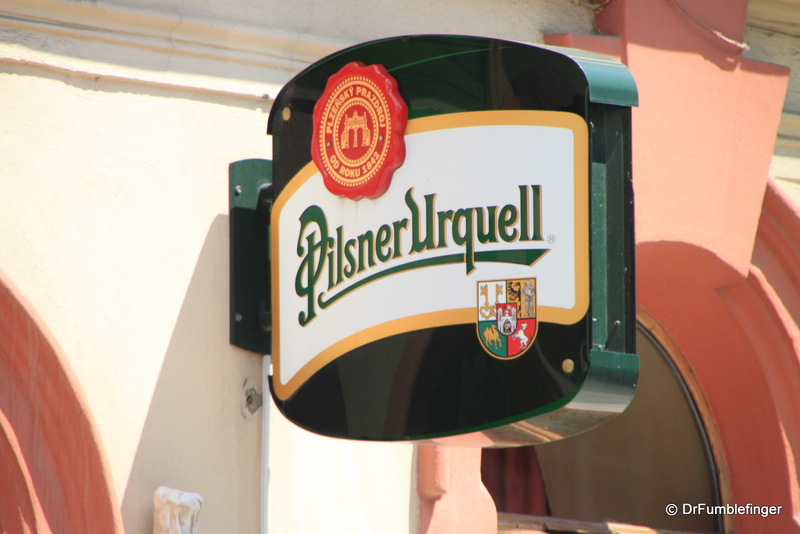 Bohemians are regarded as serious, business-like beer drinkers, while Moravians are easy-going, fun-loving and beer & wine drinking. 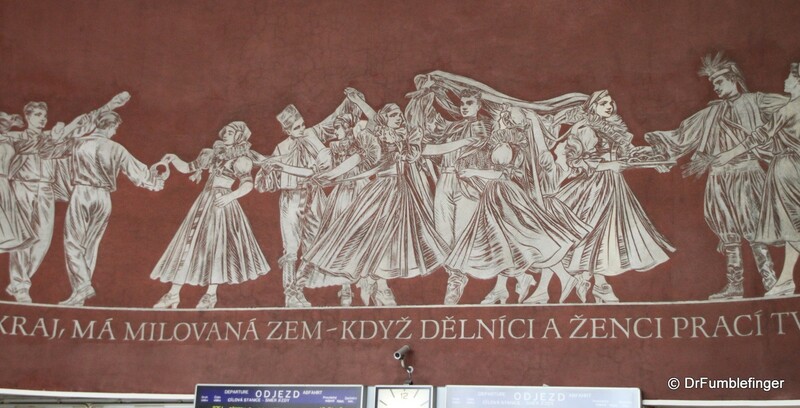 I’d heard travel guru Rick Steves recommend day trips from Prague to Olomouc on his radio show (which I listen to by podcast and highly recommend), a trip made much easier now that fast Super-City train service is available reducing travel time from 4 to 2 hours each way. 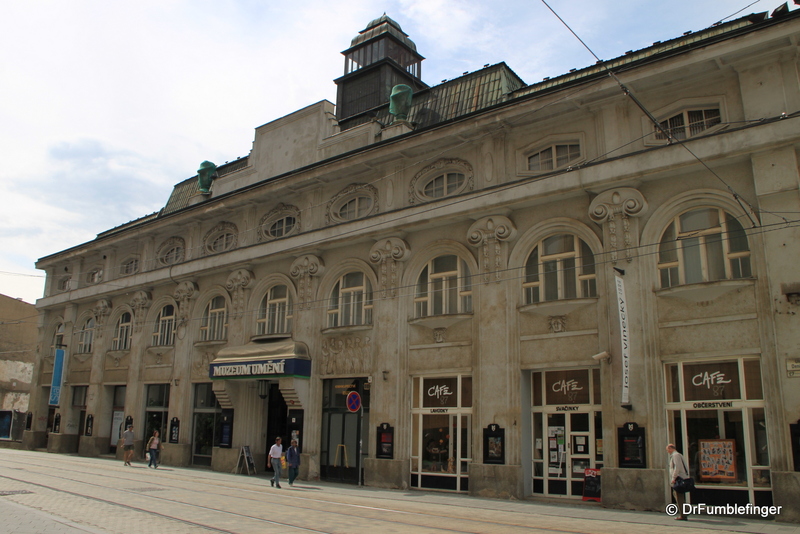 Prague’s main train station is being remodeled and upgraded but it’s upper floor still shows some century old art nouveau decor including many works by Czech artist Alphonse Mucha. The train arrived on time, was modern, comfortable and provided us with the opportunity of enjoying the scenery without the hassles of driving in a foreign country. 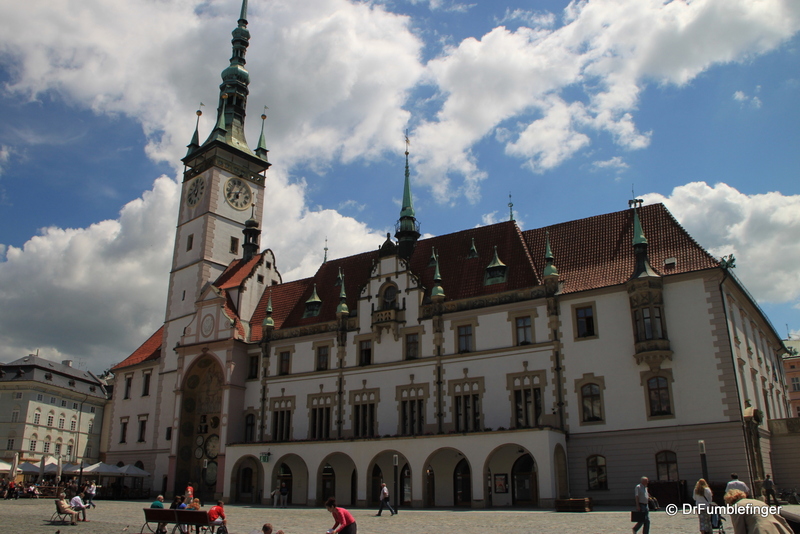 The countryside between Prague and Olomouc is beautiful; rich fertile farmland and rolling green hills with interspersed picturesque small towns and villages, each seeming centered around a church spire. What really caught my attention were the discards from the Soviet occupation stored in scattered tight groupings close to the railroad tracks; these “graveyards” of abandoned military trucks and howitzers, plane parts (wings, fuselage) and rusting Soviet train cars. They seemed an appropriate metaphor to me as the country has most definitely moved well beyond its unpopular Soviet occupation, now an abandoned fading dusty memory from the past. The country is youthful and optimistic and has enthusiastically embraced it’s 20 year freedom with growing prosperity and a sense of optimism I found appealing. 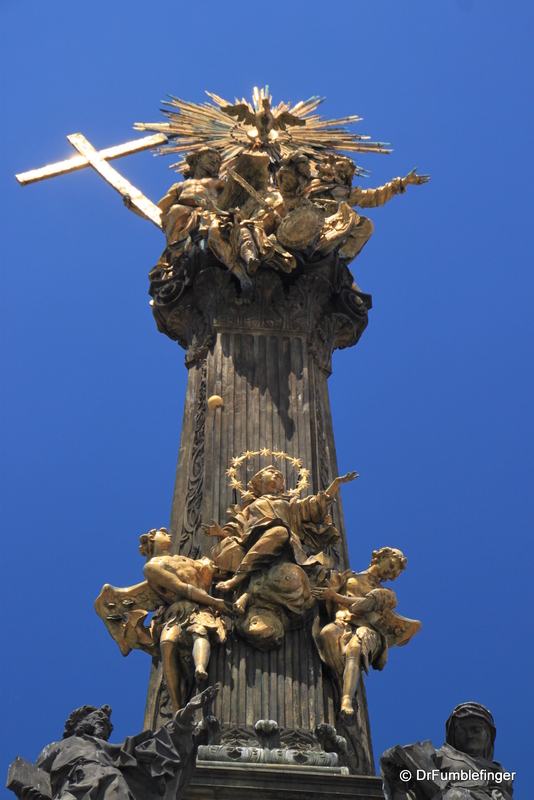 Plague Column (Column of the Holy Trinity) Plague columns are common in Europe, an expression of the king and people’s thanks to God for saving them from the bubonic plague (or some other pestilence). 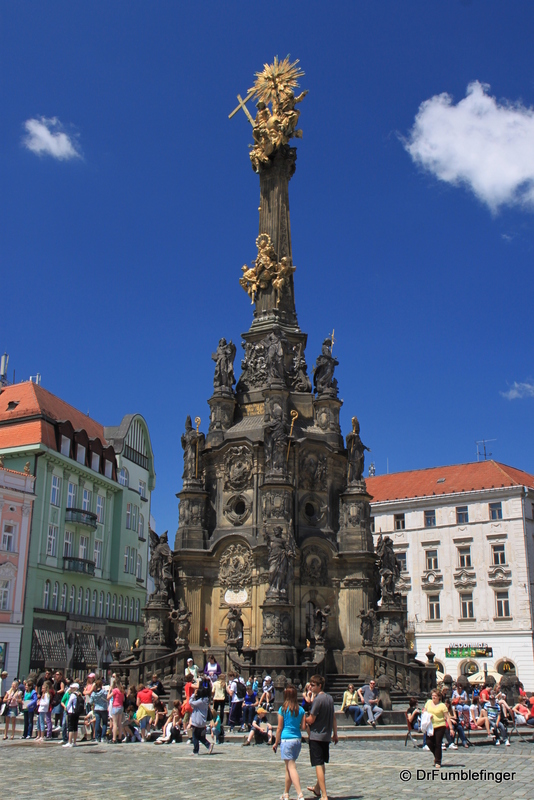 The plague column in the main square of Olomouc is truly magnificent and is the largest in Europe. 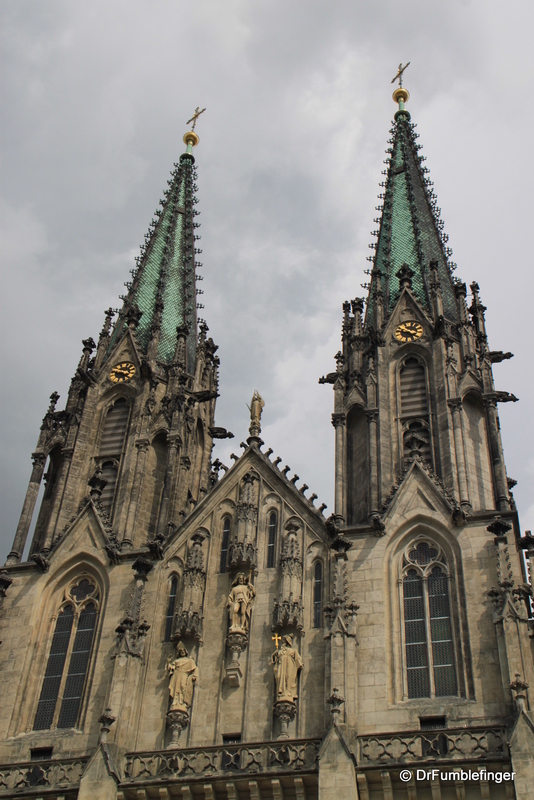 At 35m high, it dominates the town’s upper square and is a UNESCO World Heritage Site. 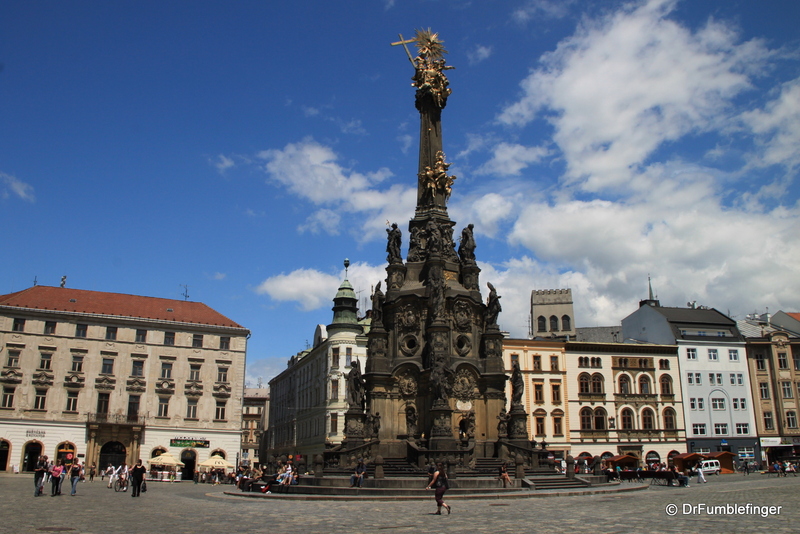 The column is a beautiful and complex structure constructed from 1716 to 1754. 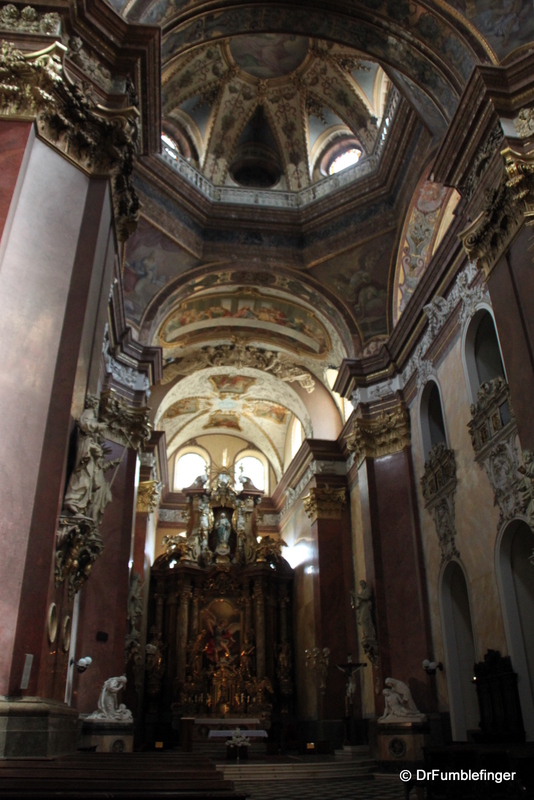 Hapsburg Empress Maria Theresa visited the column at its dedication and prayed in it’s chapel. 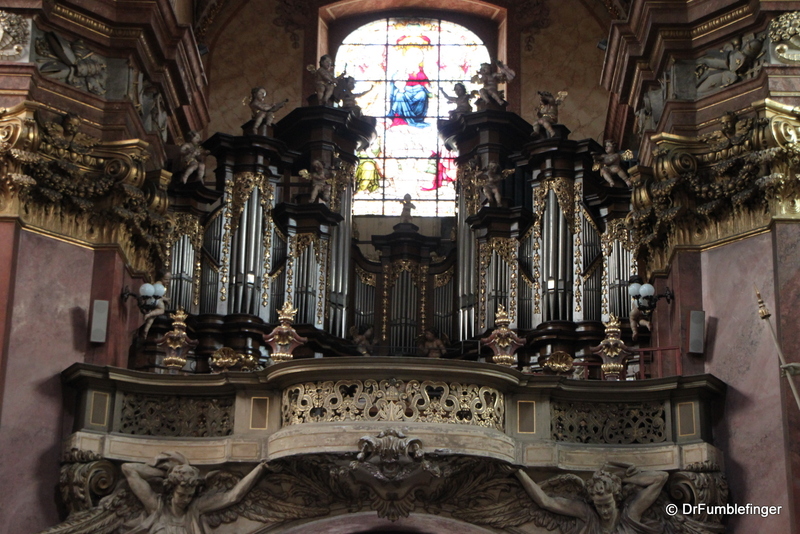 The Trinity (God, Jesus and the Holy Spirit in the form of a dove) dominate the top of the column and are closely defended by the angel Michael. 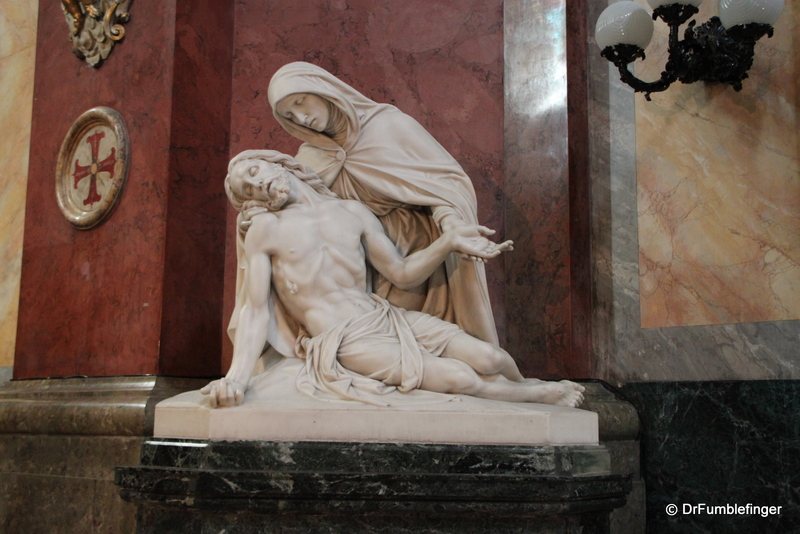 Just below Michael is an embedded cannonball (a remnant of a long forgotten conflict) and below this you’ll see the Assumption of the Virgin Mary. 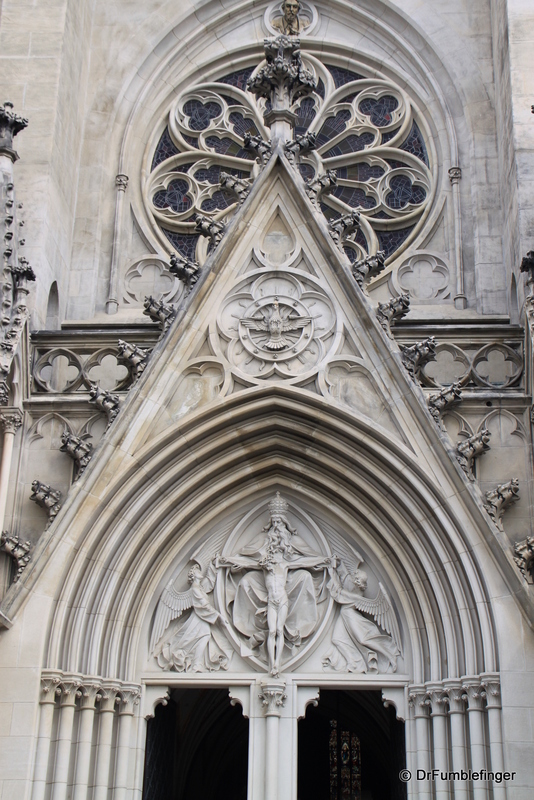 The base of the broad column contains a small chapel and is decorated by statues of many saints. 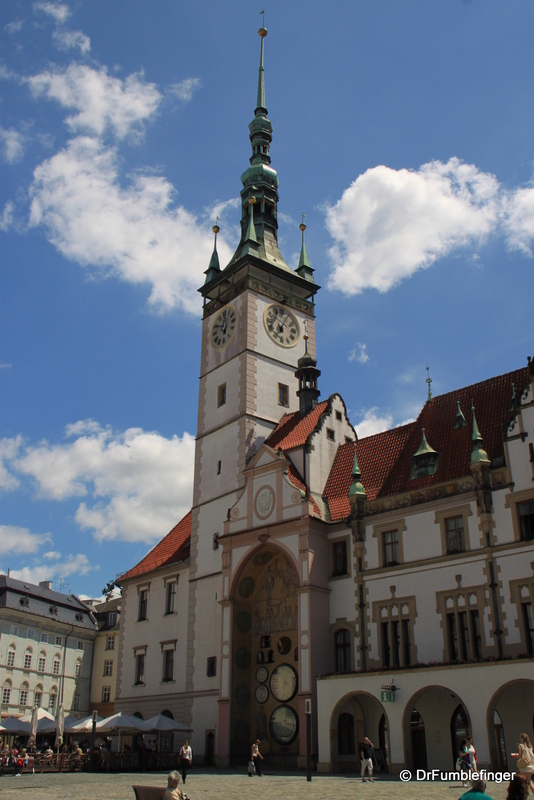 Astronomical Clock & Town Hall Built around 1420 in a sheltered recess off the old Town Hall, the Astronomical clock has undergone several “face-lifts” and modifications over the centuries. 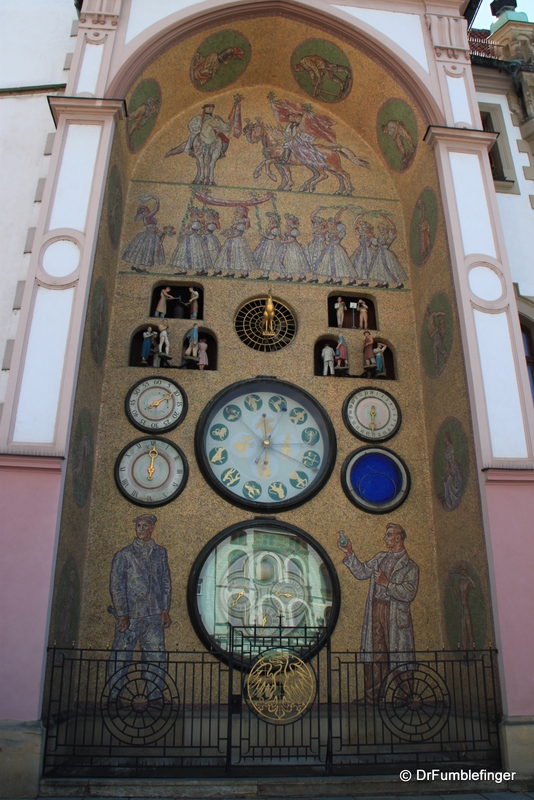 The clock exhibits not only the hour, minute, date and year but also tracks the zodiac and phase of the moon. 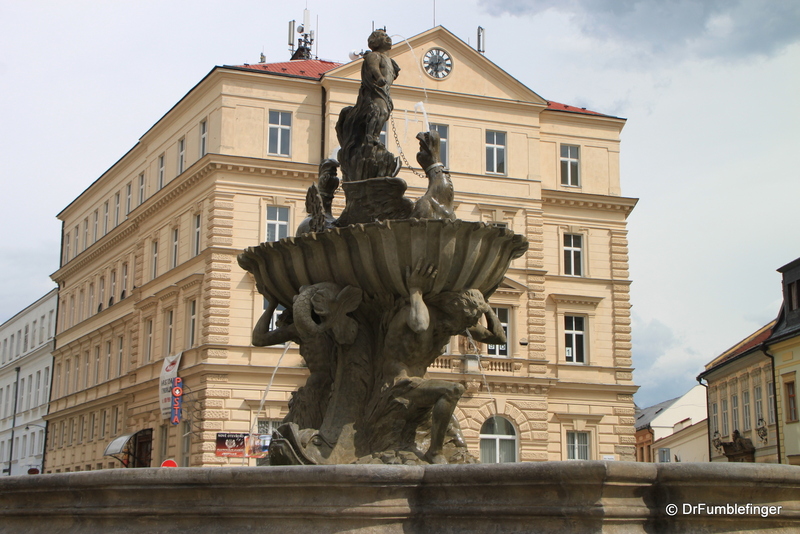 When the Nazis retreated from Moravia at the end of WWII they deliberately destroyed the clock. 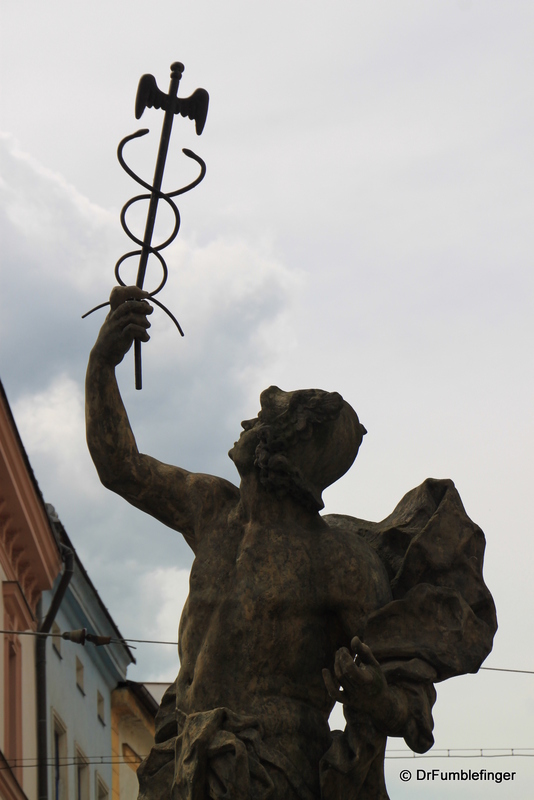 To their credit the Soviets repaired it in the 1950s but sadly did not leave its historic facade and moving figurines intact as many had a religious motif. 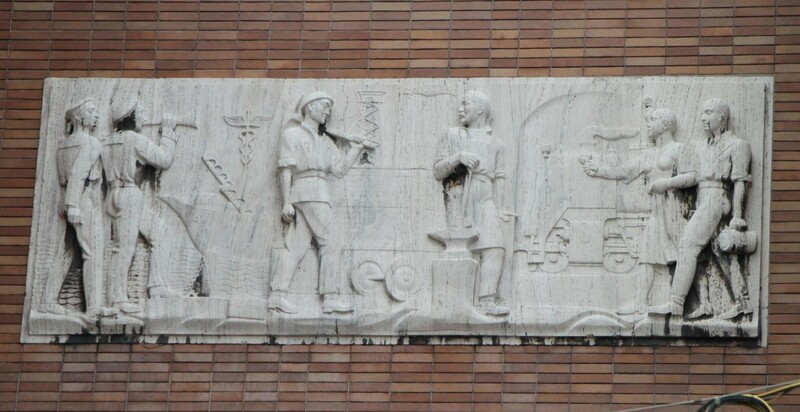 The Soviets rebuilt the clock as a monument to “socialist realism”, featuring “the workers” — men pounding anvils, scientists holding beakers, laborers, etc, Still, the chime is beautiful and it is interesting to watch how it works when it strikes the hour. 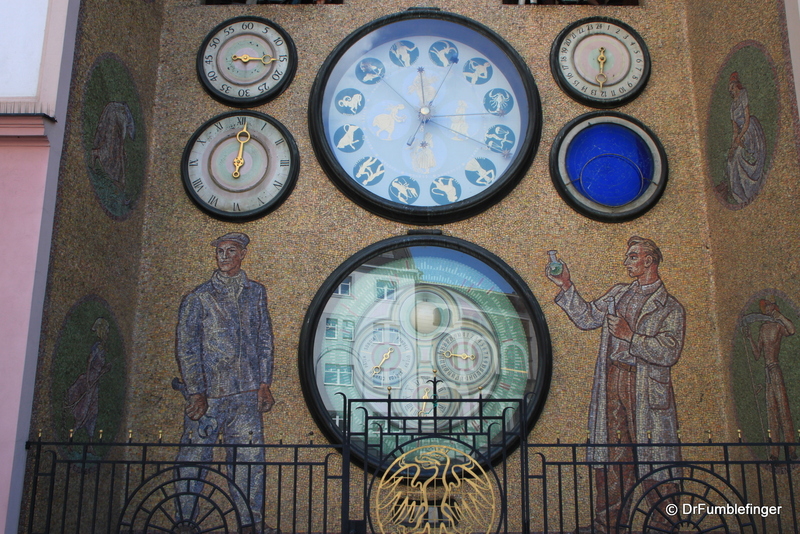 Perhaps some day the old clock can be returned to its original design. 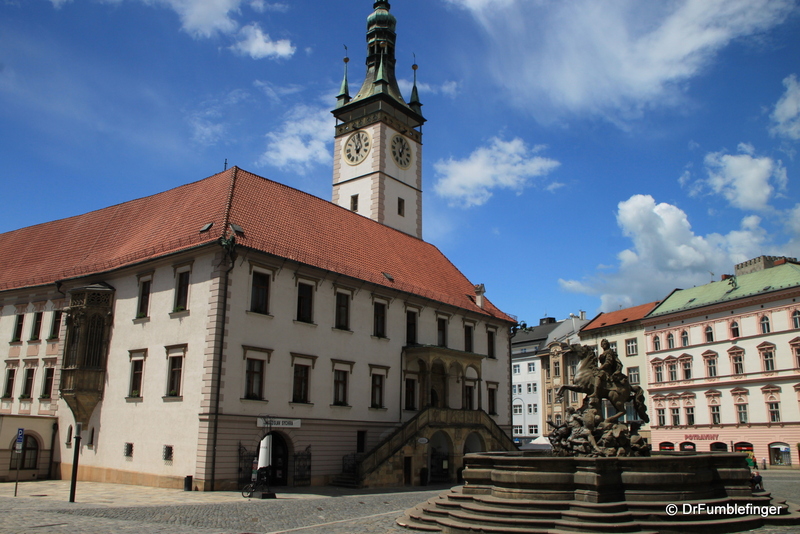 The town hall building in which the clock is located is elegant, with a tall tower you can climb for great views of the historic city core. 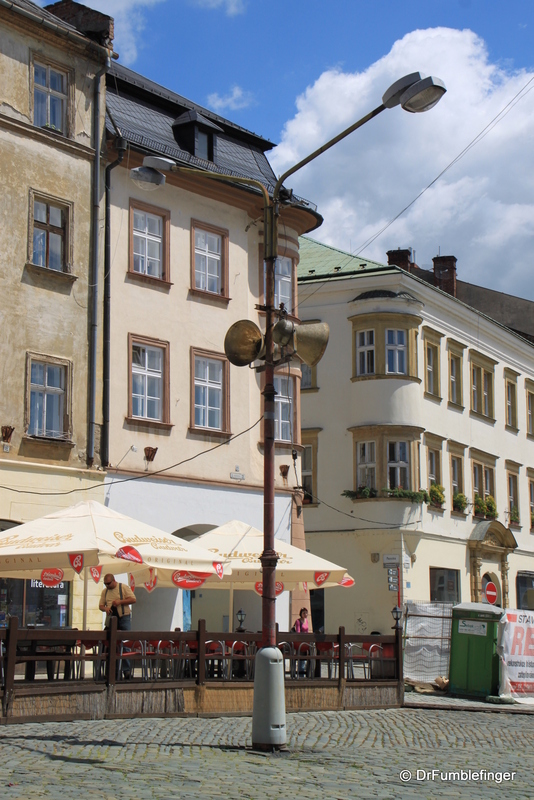 It’s a popular location for weddings and houses the Tourist information office referenced above. Fountains There are a half dozen or so historic fountains that decorate Upper and Lower squares. 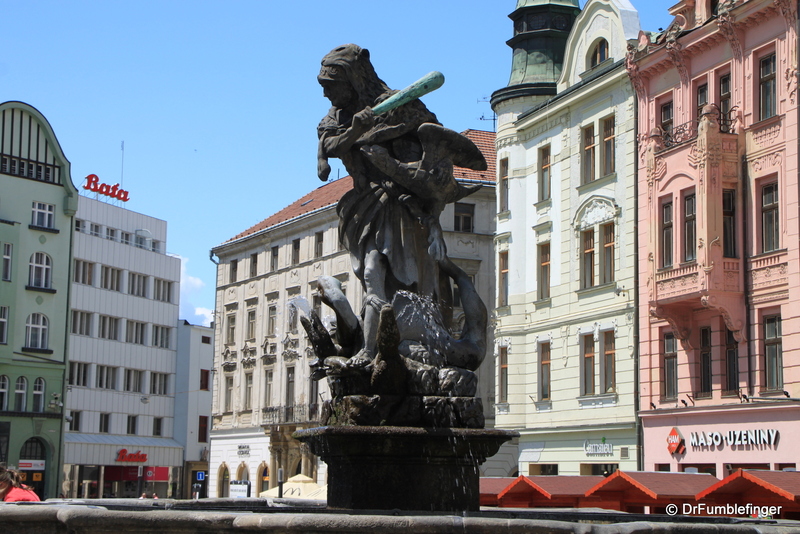 These include fountains featuring statues of Neptune, Hercules, Jupiter, Caesar and Mercury. 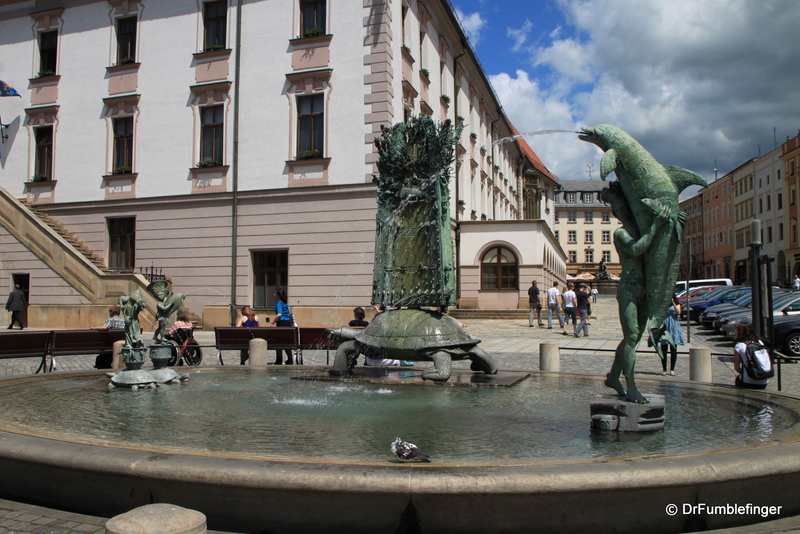 A newer playful modern Arion fountain adjoining City Hall features turtles and dolphins and is popular with small children who enjoy crawling on the turtle’s backs or wading in the shallow water. Churches There are many churches crowded into the Old Town area. 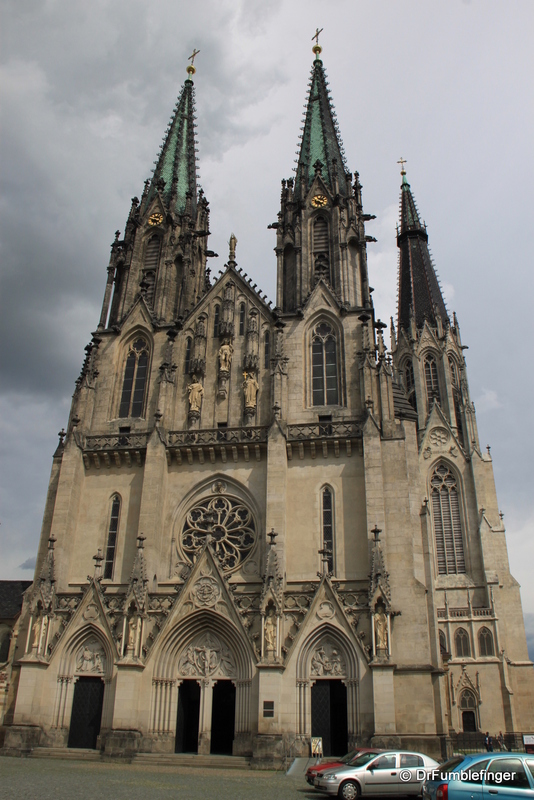 We visited two of these, the beautiful St. Michael’s church (on Olomouc hill), a lovely Baroque structure, and St. Wenceslas Cathedral, a magnificent mostly 19th century structure that is about a 10 minute walk from the Upper Square region. 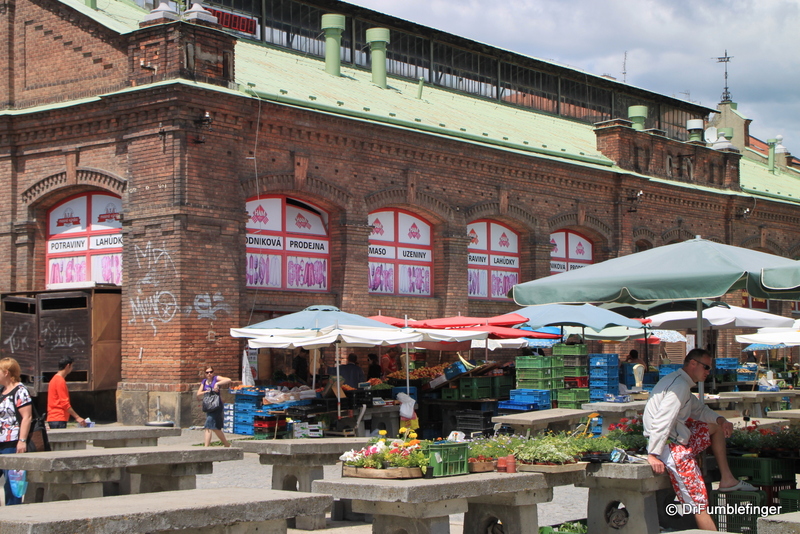 The town also has a Museum of Natural Science and Museum of Art, which we did not view. Afer visiting these sites we spent the rest of our day leisurely walking the cobblestoned streets and enjoying the feeling of being one of the only tourists in town (a rarity for most places in Europe we’ve visited). 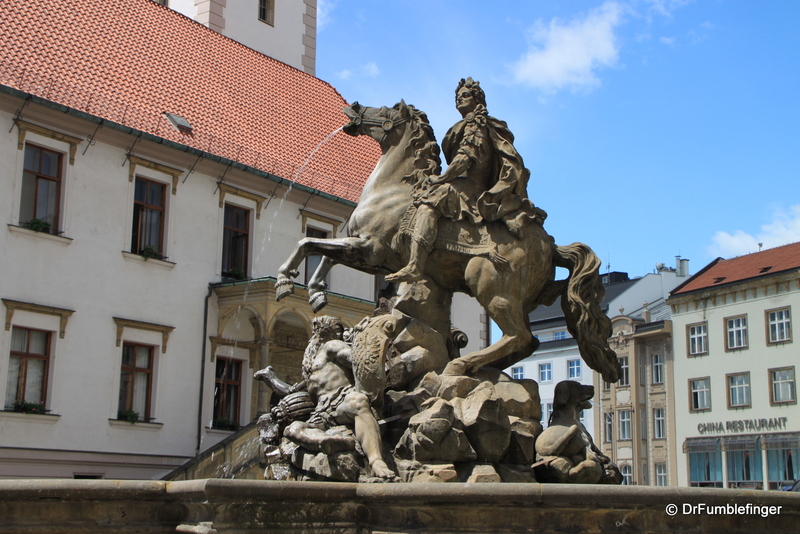 It was a beautiful early summer day which only added to our “gemütlichkeit“. 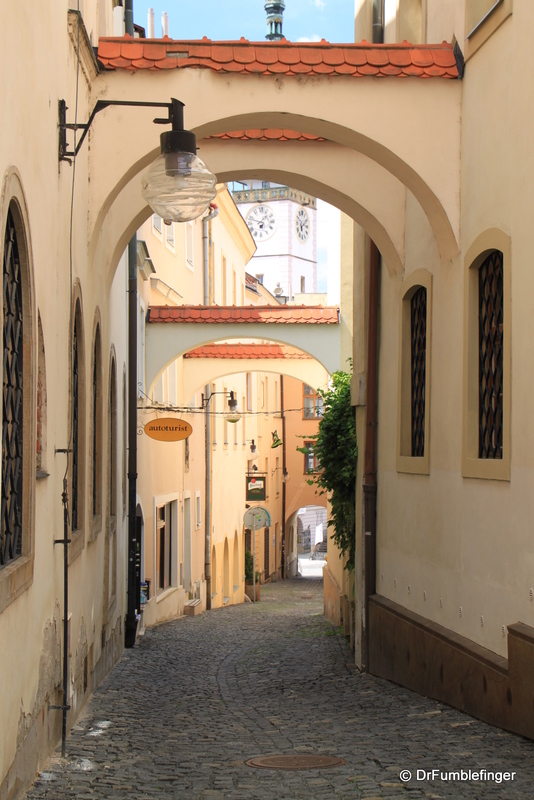 We enjoyed food and refreshments at one of the many cafes in town and were pleased to see how relatively inexpensive everything was — about half of what you’d pay in Prague and a quarter of what you’d pay in Vienna. 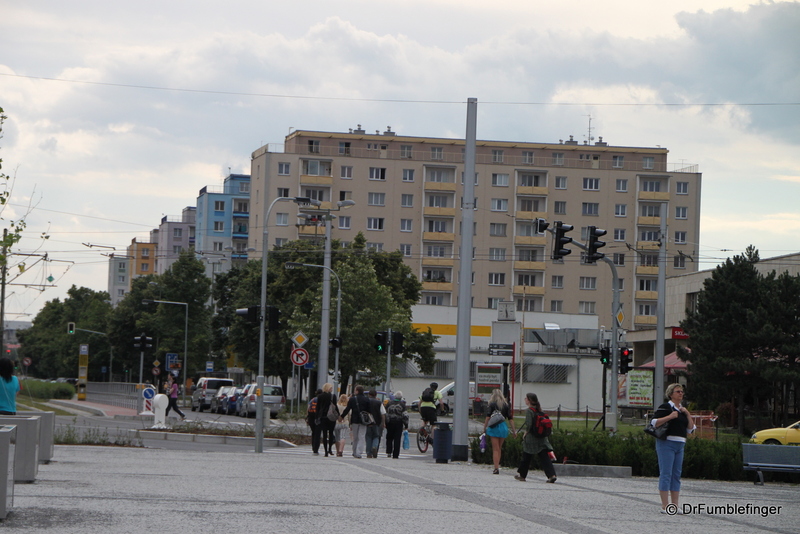 It’s not as flashy a city as Vienna or Prague but it doesn’t have to be. 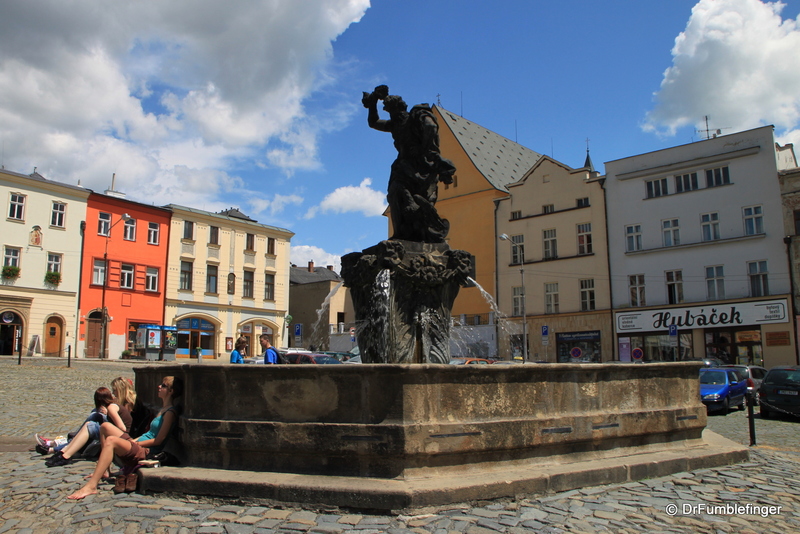 Life in Olomouc is pleasant, fun and still affordable. 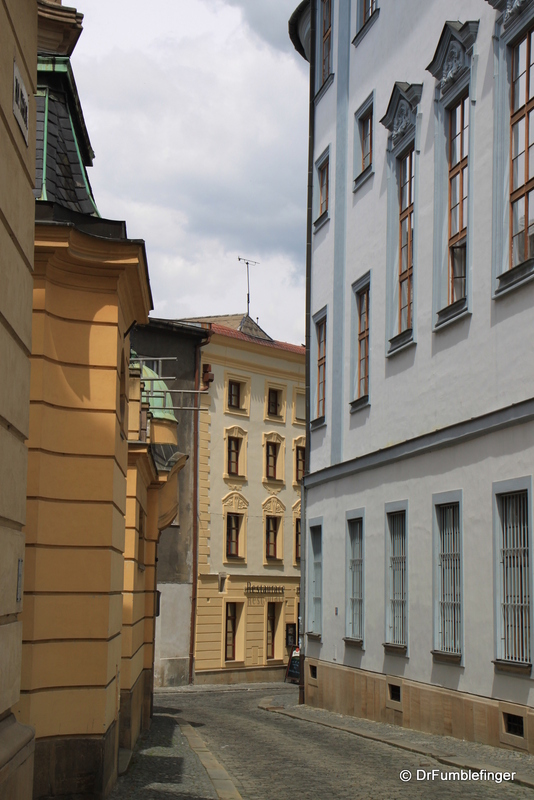 If I lived in the Czech Republic, it’s the kind of city I’d want to call home. We were also delighted to see so many mothers pushing baby carriages and accompanied by toddlers. This might seem trivial but Western Europeans seemingly have lost their will to reproduce, much like the beloved giant panda, with a reproductive rate of around 1.2 children per family. Obviously this reproductive rate can not sustain a people and will ultimately result in the extinction of its population. I’m not sure what the birth rate in Moravia is but I’d guess it probably is double that of most of Western Europe (or around what it is in the United States). There are some who consider having a child a blight on the planet, a view I don’t share. I look at children with delight because they are our future. 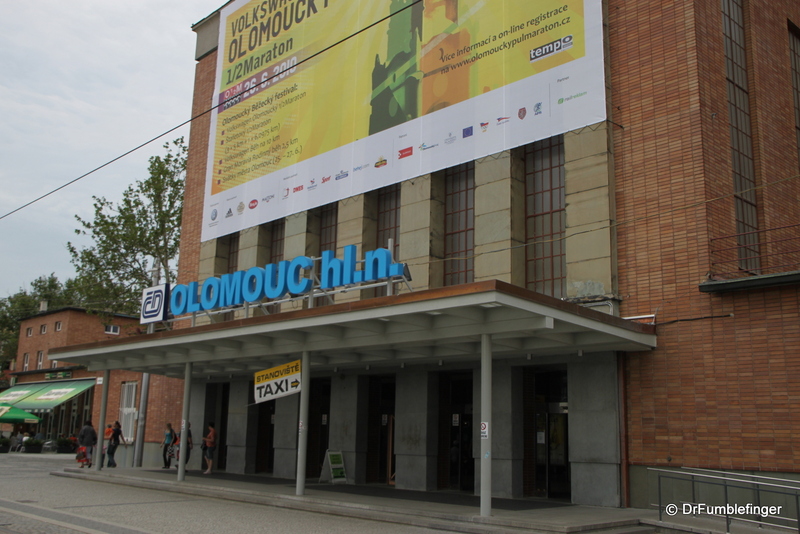 Olomouc was a pleasant destination that seemed far removed from the bustle of much of Europe. 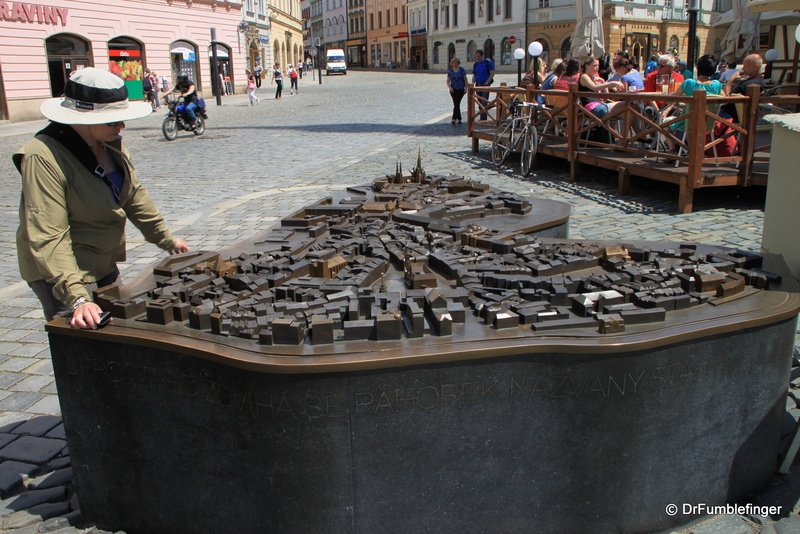 If you’re in the Czech Republic and have the time, give it a tumble. I think you’ll have a pleasant, relaxed and memorable travel experience.